Recently I came across an old article that talked about the difference between simply taking a picture versus creating art. As a budding digital photographer it is so easy for us to take hundreds of images without thinking twice about it. In fact, for many years I would do exactly that. Go on walkabout and come home with hundreds of images. But nearly all of them lacked any impact. They didn’t tell a story, they failed on several technical levels including focus and exposure. The compositions lacked clarity and elements of design chosen in my subject. This year I’ve been inspired by artistic photographers that are more than willing to share their thought process in creating their art. It is with their inspiration that I am beginning to study and try to understand artwork found in museums. Art created by insightful painters that understood composition, balance, color, and light. As artists, they could create their work of art as they imagined it in their mind. As photographers though, we are challenged to see art in the world around us. 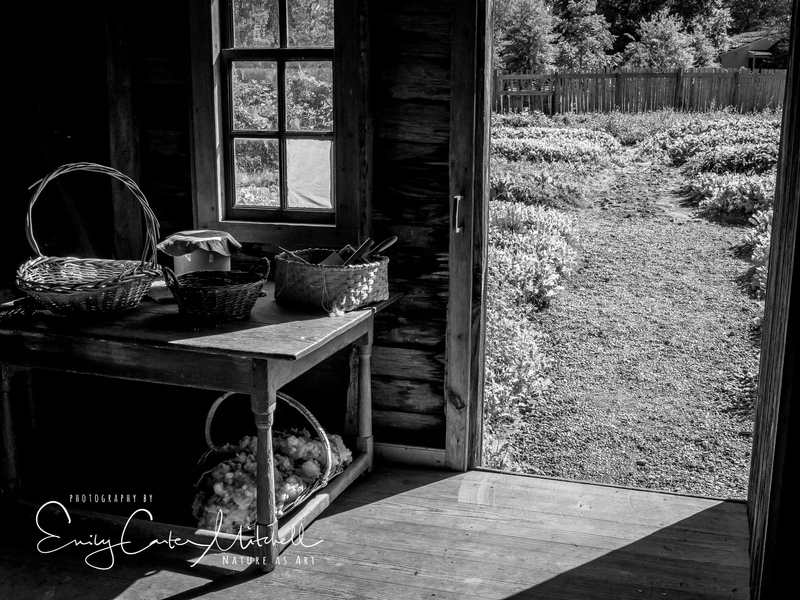 With this in mind, when visiting the National Colonial Farm prior to my photography class, I noticed some strong light coming into the colonial farm. 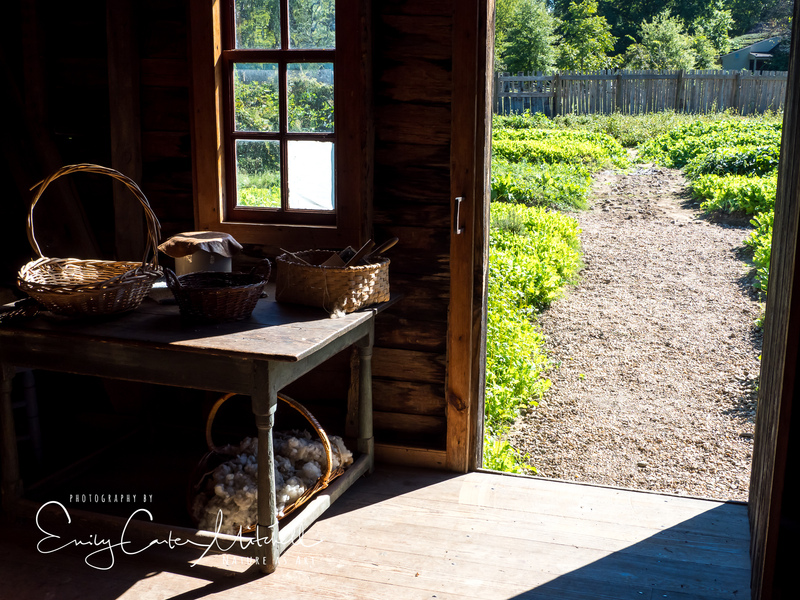 With home elements on a table and the garden outside, artists like Andrew Wyeth came to mind. Strong lines, diagonals and triangles and elements of light. There were choices I made when composing the scene. What to include, what to eliminate. Horizontal, vertical and so on. Also with such a strong contrast I knew this image needed to be converted to Black and White and that was easily done once I brought it into Lightroom. But I felt it needed more. This was a scene that I felt could be hung on a wall along with other artists and so bringing the image into Topaz Impressions I added a painterly effect. I really like the final result and am looking forward to learning more from master artists. In regard to Topaz Impressions I have learned that Topaz Labs have now upgraded and expanded their software package to now be an all-in-one “Studio.” What this means is that the original stand alone Topaz Impressions will not be updated with future features. I have updated to the Topaz Studio (free) and added all of the modules to see if I might grow into all of the capabilities it offers. Finding how to access Impressions was easy and the same plug-in link as previously. The free options are actually quite fun and is good for those that don’t have any photo editing software and want a free and powerful tool. It’s also good for anyone wanting to expand their editing options including blurs and image layering. So the question to ask yourself…Am I taking documentation shots or am I creating art? I would say that photographers are doing both – the creation of art through documenting. So true, I am finding myself in the same place right now and using Topaz Studio as well. The photo capture is the first step and the post processing can finalize your vision and bring it to life. Thank you very much Steve and thrilled that we are traveling the same journey. Happy shooting this weekend and hope all is well down in Jupiter. I recently discovered Topaz Studio through one of my friends, Theo Fenraven. He turns his photos into digital art. It is a new experience for me to think of taking a photo and creating something new. So far I am impressed with The Topaz studio. I may use Lightroom, Photoshop, onOne, and Corel Painter to create my photographic art. First I start with a decent composition. Love what you said. Nice art work too. This is beautiful in all its stages. I love this photo so alive!